Man, India has a ton of cool stuff going on right now, not the least of which is their burgeoning power metal seen. Eclipse are one of the most significant contributors to this and their latest offering, Clandestine Resurrection is ten tracks of tightly polished, smoothly executed rock and roll that will get your heart pounding but which does not hesitate to embrace a far more bombastic side of the music. Eclipse have some killer riffs to be sure, but it's their ballads that will really capture your heart. Right off the bat you can tell that Eclipse are some seriously talented musicians, and they love corny, romantic songs that tell tales of epic struggles and grandiose triumphs. This is a band who are not afraid to speak to something greater and that alone hints at a bold future for the group. Their love of flashy, emotional guitar solos can't help but to put a smile on my face, and the monochromatic palm muted chugs that drive so much of this record forward help to provide a rich background for this entire thing to advance on. Clandestine Resurrection is over the top - gloriously so, and that is exactly what makes it so engaging. 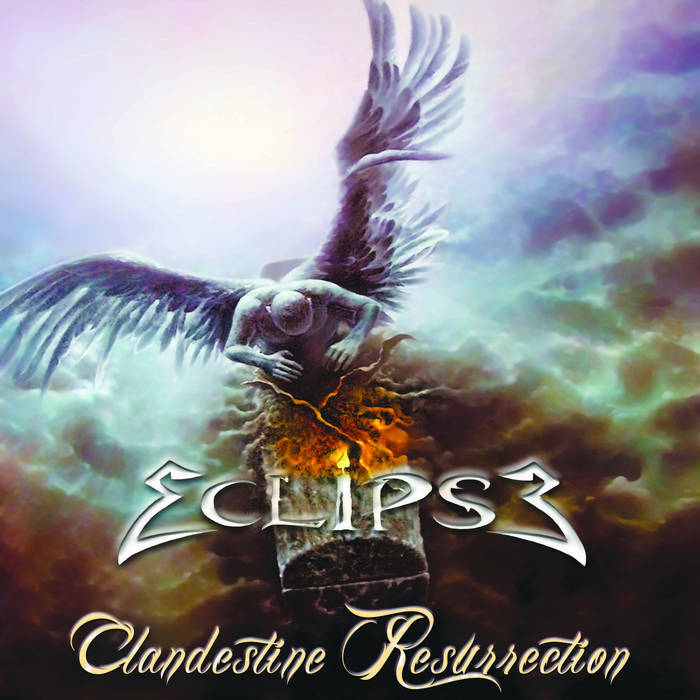 Eclipse is a band who know how to write a tight song and they understand the fundamental beauty of power metal. Sure, there music sometimes feels like it was ripped straight out of the 80s, but I love that kind of stuff, that just gives me more of an incentive to listen. Clandestine Resurrection is exciting to listen too, even if it doesn't break new ground. Eclipse will carry you off on the wings of an eagle, proving once and for all that the Indian power metal scene may become one of the best in the world.